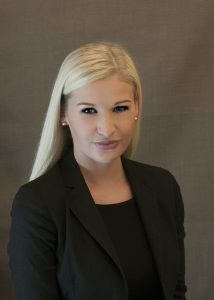 Kristen M. Yurkowski - Reed Law Firm, P.L.L.C. Ms. Yurkowski is a graduate of Liberty University twice over, receiving her Bachelor of Science in Psychology in 2010 and her Juris Doctorate in 2013. Ms. Yurkowski is currently admitted to practice law in the Commonwealth of Virginia. She is also a member of the Prince William County Bar Association. Prior to joining the Reed Law Firm, Ms. Yurkowski worked at a major healthcare company based in New York City, working on contracts, negotiations, and health care law. She also worked with the the Lynchburg Commonwealth’s Attorney’s Office, honing her litigation skills. She now focuses her practice on Divorce, Family Law, and Criminal Matters. Ms. Yurkowski has proven herself to be a diligent and effective advocate. She zealously advocates for her clients, striving for the best possible outcomes whether through settlement or litigation. To schedule a consultation with Ms. Yurkowski, please call our office at 703-530-8810.